Like just about everyone else, I have a few beauty resolutions to make. Wash my brushes more often -- It seems like this is a popular resolution. Why does washing brushes feel like such a chore? It doesn't take very long and I like the way clean brushes look and feel. I spot clean with a spray cleaner between shadow and blush/bronzer colors, but I don't deep clean nearly often enough. Don't buy so many cosmetics -- I really use and enjoy everything I own, but I still buy/own too much. I find it hard to resist all the new collections (especially limited edition) and new products that promise so much. Get rid of old cosmetics -- This is more of a goal and less of a resolution. I have some very old items that I acquired when I was working in the cosmetics industry years ago. I haven't used them up, and it's undoubtedly time for them to go. Unfortunately this is hard for me because I have sort of a sentimental attachment to them. Quite silly, really. I'm not really one for making a whole lot of personal resolutions because I always feel crummy when I break them (I'm too hard on myself), but if I were to make some they would include: eat more fruits and veggies, exercise more (I need to take care of my heart), and be kinder to myself. Have you resolved to do anything different this year, beauty-related or otherwise? Washing brushes means buying fewer brushes, so the goals kind of go hand in hand for me. 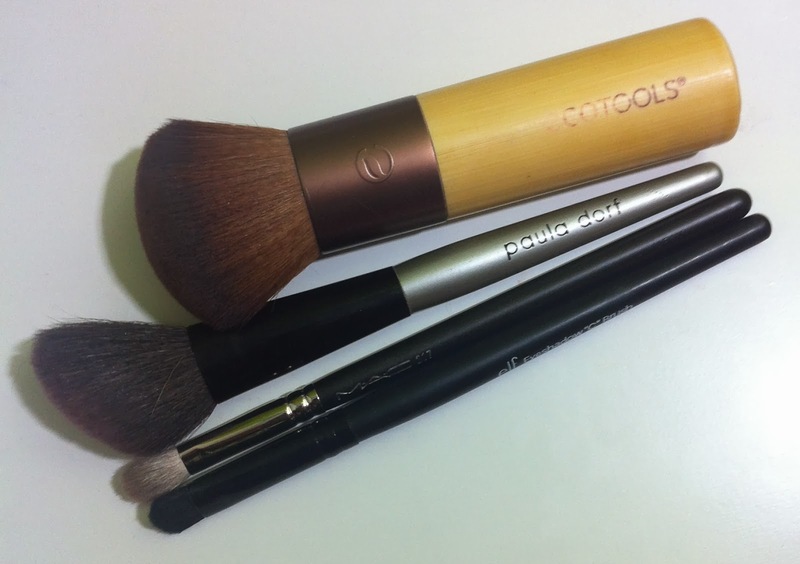 Washing the brushes was on my list of beauty resolutions ,too! I think I'm going to try to make Sunday brush washing party day. Yes to all of these for me too, but especially #1. I don't know why brush washing seems like such an odious task because it's not like it's difficult or anything... if only they made an automatic brush-washer. Someone needs to invent an automatic brush-washer.